United Nations Conference on Trade and Development (UNctad) Secretary General Mukhisa Kituyi has said developing countries are not ready for a digital economy. 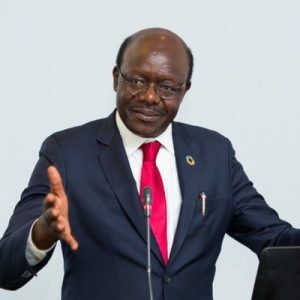 In a press statement posted on www.unctad.org, Kituyi said the debate on how a political data firm got access to millions of Facebook user’s information without their consent highlights the need for proper legislation to regulate the digital economy in developing countries. “The current debate about Facebook and data privacy vividly illustrates that most countries are ill-prepared for the digital economy…Some 90 percent of all new users of the Internet over the past half decade or so live in developing countries currently lack legislation to protect their privacy,” he said. In his remarks, Kituyi said resolving some of the challenges, including protection of digital identities and consumer protection online, will be critical in ensuring that the global community benefits from digitization. “We know that the digital economy can bring great benefits to developing countries, but we need to address some critical questions to ensure that digitization leads to the future we want,” he was quoted on www.news.un.org. In an earlier interview, Minister of Information and Communications Technology Nicholas Dausi told delegates at the Innovation Africa Digital Summit last month that Malawi was working on a Data Protection Act to pave the way for the transition to a more modern and digitized economy.